Contract flipped through no fault of seller; buyer's agent made error on buyer's closing costs in offer presented to seller. Very nice home with larger rooms. 2-car detached garage and a metal 20 x 30 building added. 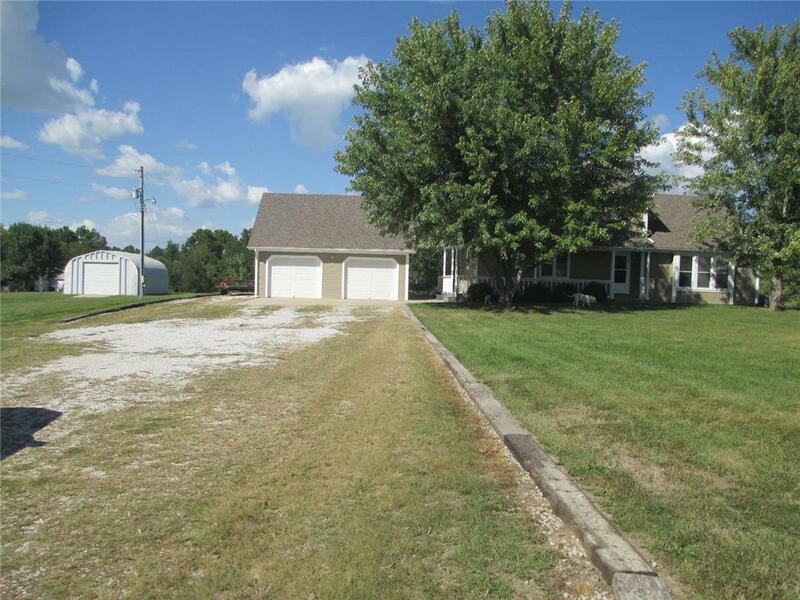 5 Acres--Room for the family to roam! This home is on less than a 1/2 mile on gravel. Seller to pay up to $500 to provide home warranty. Directions: I-49 to MO 7 exit turn Right in front of Sapp's truck stop go to 4 way stop turn left, turn left at the outer road and take to 283. At 283 turn left and go approximately 1 mile house on left side of road.